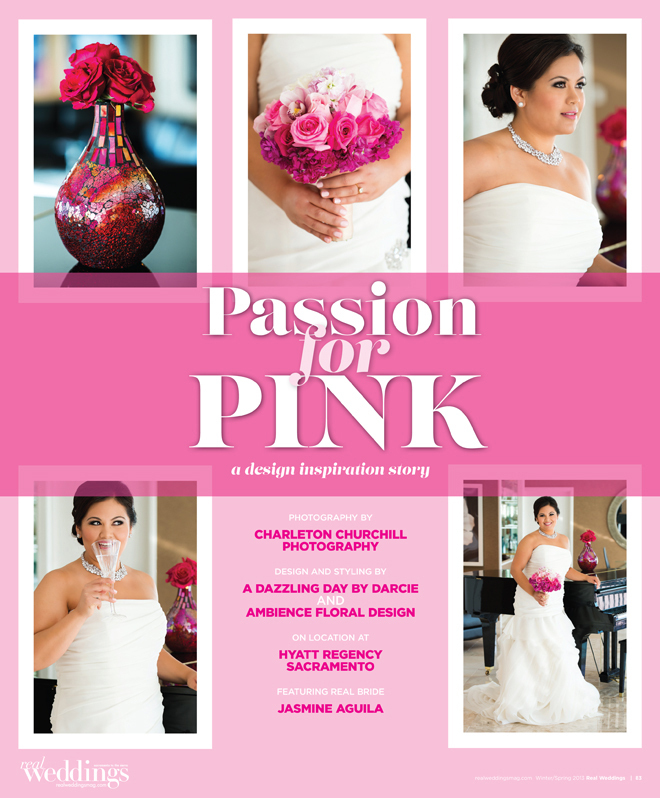 We are excited to share with you the sequel to “Passion for Pink”! As mentioned, two SPARKLE brides modeled unique design inspiration themes for the Winter 2013 issue of Real Weddings Magazine. 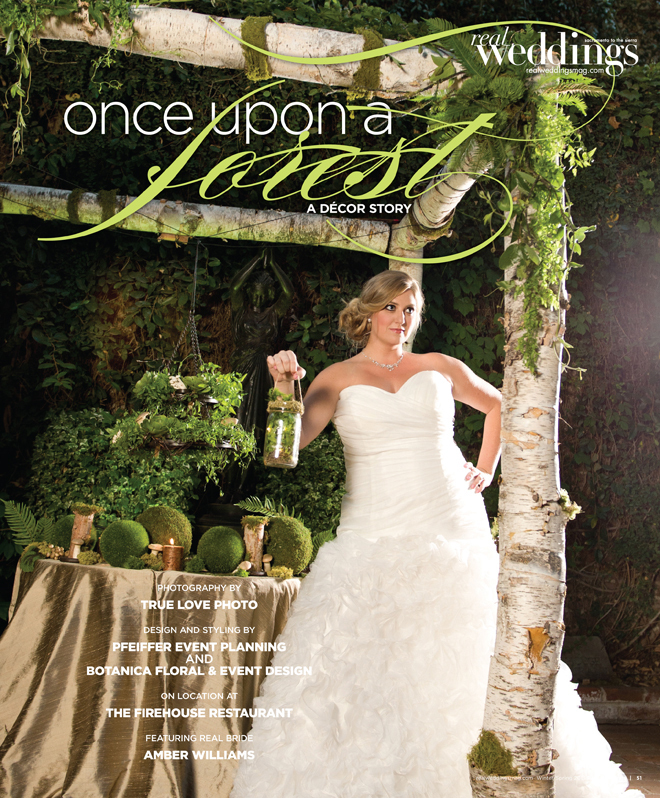 You met Jasmine, and now meet SPARKLE bride Amber, our gorgeous model for “Once Upon a Forest”. 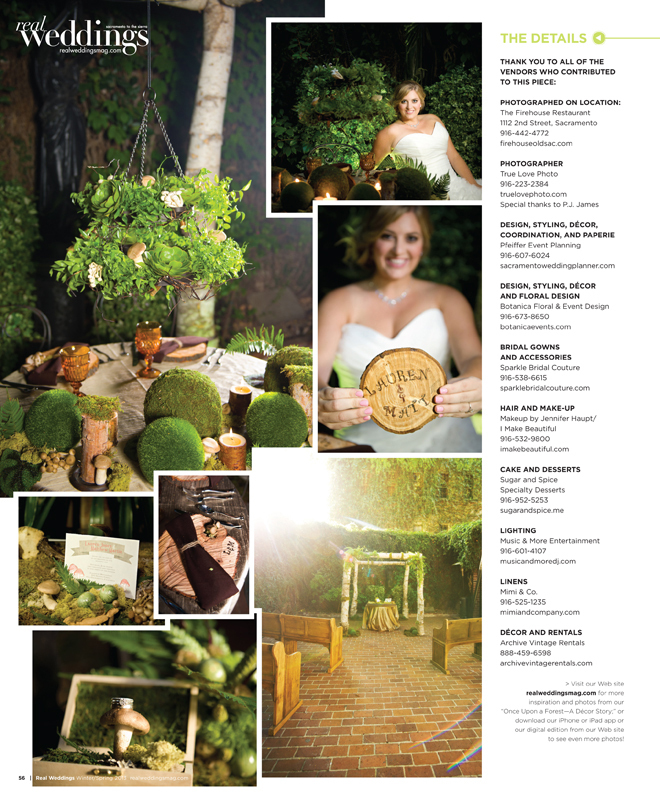 This decor story pairs an ethereal, outdoor scene with our most beautiful lace, chiffon and organza SPARKLE gowns. 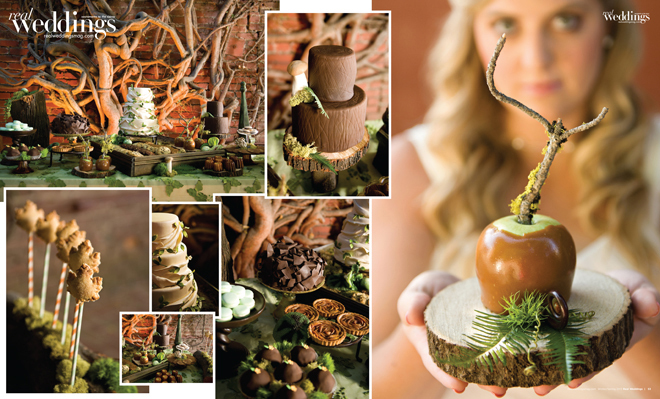 Enjoy the delicate touches of nature in this woodsy wedding reception – a creative, unique and memorable shoot. Thank you again to the Sacramento-area vendors (please see list below) who designed an amazing set to show off our SPARKLE dresses! 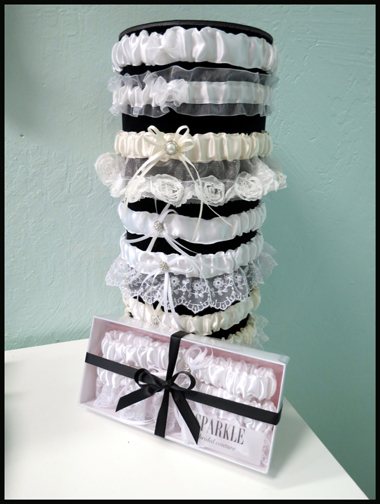 We are proud to add garters to our amazing selection of gowns, jewelry and accessories at SPARKLE bridal couture! Our elegant garters are adorned with tiny details and touches of lace to complete your look — or gift to your favorite future bride. Sets are available in both White and Ivory so there is one to toss and one to cherish! SPARKLE garters are the perfect fit for every curvy bride-to-be. 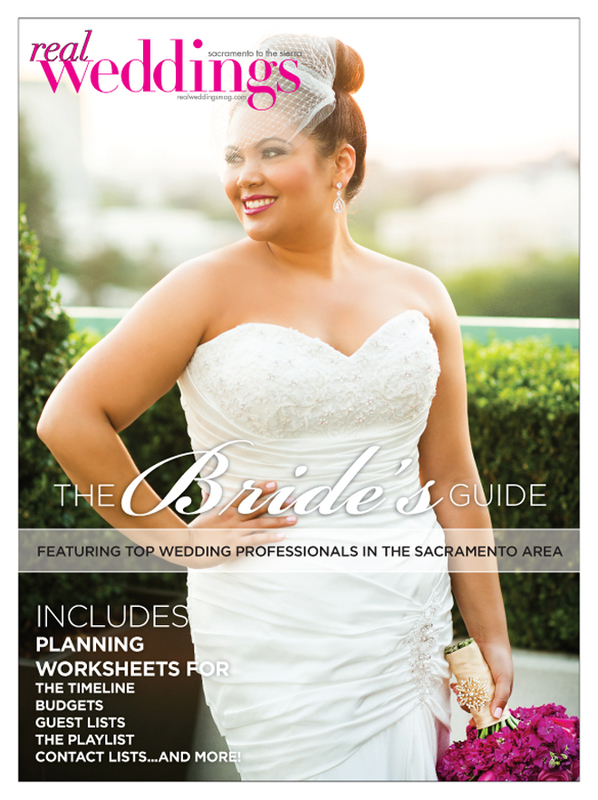 Now available in-store, or ordered by phone (916.538.6615) and mailed at your convenience to you or your lucky bride! 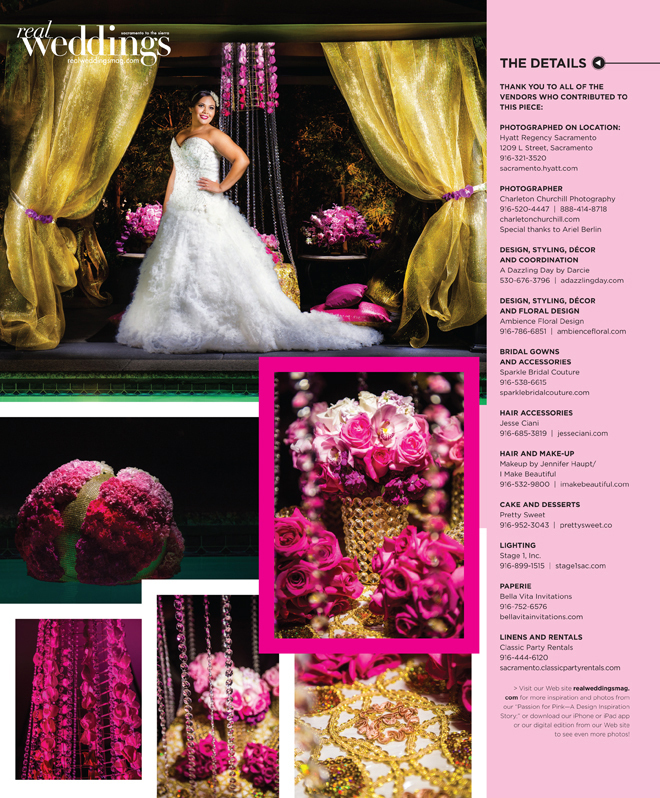 We were honored to be part of a very special opportunity for our SPARKLE brides in the current Winter 2013 issue of Real Weddings Magazine. 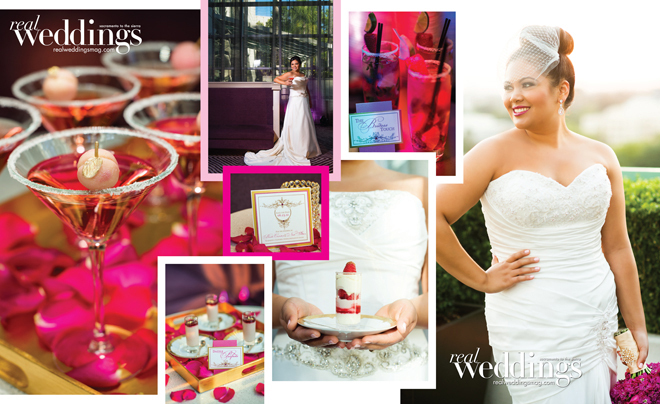 Editor Wendy Sipple worked with talented teams of decor and event planners, photographers, hair and make-up stylists and others to create not one but TWO amazing design inspiration stories for brides to enjoy. Each SPARKLE bride modeled SPARKLE gowns for these shoots. 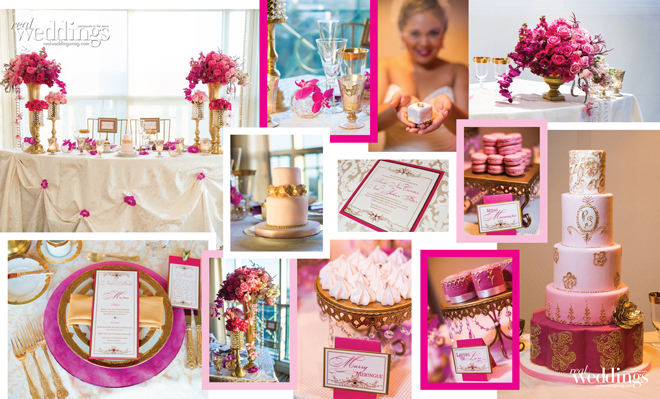 “Passion for Pink” featuring SPARKLE bride Jasmine, highlights luxurious pinks and golds with a cosmopolitan feel. 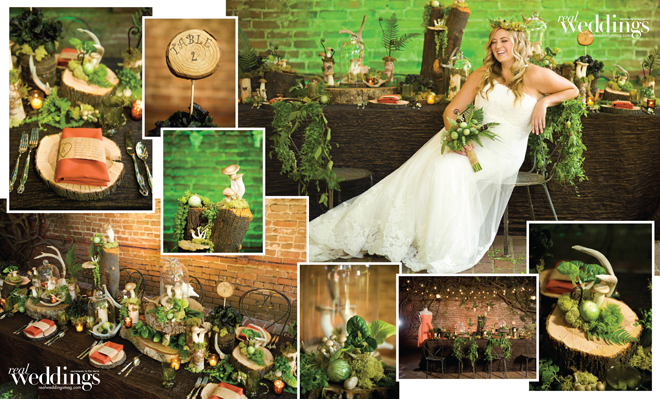 “Once Upon a Forest” stars SPARKLE bride Amber in our flowy and lacy gowns among a whimsical evergreen setting complete with woodsy table decor and more! 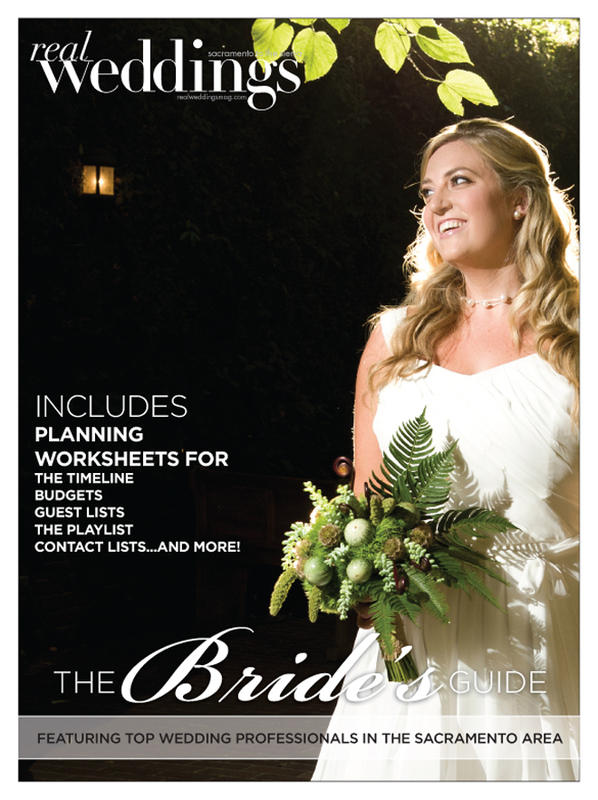 Each were also on the cover of Real Weddings The Bride’s Guide, a handy booklet to help brides plan their wedding. Here is the “Passion for Pink” pictorial and soon we’ll post more “Once Upon a Forest” photos for you too…many, many thanks to all who shared their talents to make these editorial photoshoots possible (please see lists below) and to make our SPARKLE brides and SPARKLE gowns shine bright!